Brutal warrior to mysterious mage, the Battle-Worn Vordr LARP Hammer has a powerful fantasy look that makes it suitable for both. 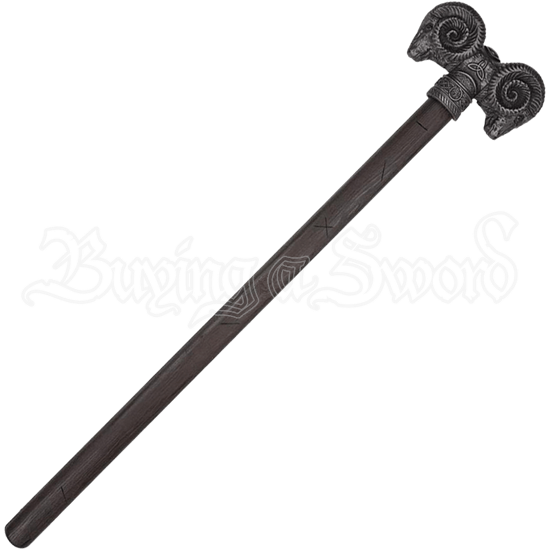 Incredibly durable and highly detailed, this foam LARP hammer has a weathered, battle-scarred look. Made of latex-free and wear-resistant Calimacil foam around a flexible fiberglass core, this medieval fantasy LARP war hammer is an intimidating and awe-inspiring weapon that is safe for LARP events. Two ram heads make up the double-sided hammer head, surrounded by Celtic knotwork and all done in a weathered, dark steel color. The long haft has a brown wood look, adding to its realism. The hand detailed, battle-worn look varies slightly from weapon to weapon, so no two of these fantasy LARP hammers is exactly the same. 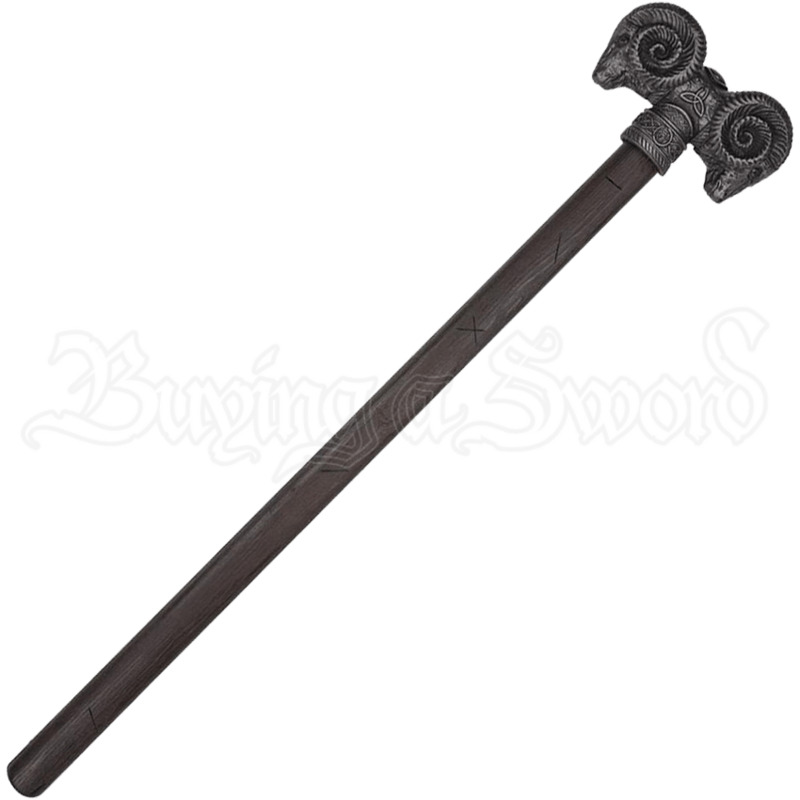 This incredibly durable, easy-to-wield, and highly detailed ram skull LARP hammer is a remarkable choice in both medieval and fantasy LARP settings.